Both covert operations against Libya and Syria, drafted long ago, have been carried out lately in close collaboration with the Western mainstream media, serving as a mouthpiece for the US-NATO alliance and the corporate interests behind them. The Libyan government was overthrown as planned in the 1980’s, with the help of NATO bombings paving the way for their proxy soldiers promoted as “pro-democracy rebels” by the mainstream media. The 1957 plan against Syria has been carried out since March 2011. The architects of the Middle East conquest are now intensifying their propaganda and planting another classic story in the mainstream media: the chemical weapons threat. 10,000 U.S. troops – as well as French, British and Nato troops – are amassing off the coast of Syria for a potential invasion. In 2011, were not similar charges put forward against another Arab country? Were they not claiming that the late Muammar Qaddafi would use chemical weapons against his own population? Was it not claimed even earlier that Qaddafi and the Libyan military had brought in black-skinned African mercenaries to kill Libyan citizens? Or that Libyan jets were killing Libyan protesters? What happened to the genocide in Benghazi? Now there is nothing but silence and lost memories. Claims were made, morality and responsibility were invoked, and then a rising Arab country was bombarded. An engine of economic progress in Africa was halted in its tracks overnight and an entire society robbed. While the US administration expresses fears that the Syrian government will use chemical weapons, the Syrian authorities as well as many others fear that, the weapons fall into the hands of US-NATO backed opposition groups in Syria. Libya’s arsenal had fallen into the hands of sectarian extremists with NATO assistance last year in the culmination of efforts to overthrow the North African nation. Since then, Libya’s militants led by commanders of Al Qaeda’s Libyan Islamic Fighting Group (LIFG) have armed sectarian extremists across the Arab World, from as far West as Mali, to as far East as Syria. Modeled on the Saddam Hussein WMD narrative, the propaganda ploy concerning the alleged threat of Syria’s chemical weapons has been building up over several months. Global Research brings you a list of selected articles on this unfolding story. 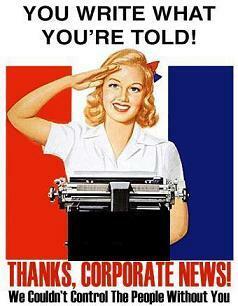 As an independent media, Global Research is incumbent upon unveiling the truth behind mainstream media war propaganda. In order to achieve this daily quest for truth, we need your help. Global Research does not receive any money from foundations, governments or corporations. We solely rely on our readers and we thank you for your support. If you count on our work to keep yourself informed, we count on you to keep on publishing daily independent, well-researched in-depth analysis. Make a donation or become a Global Research member! Every contribution counts.